The same thing happened when William Seward Burroughs invented the calculating machine. The slide ruler was put out to pasture. Professors feared that the formulas they had their students commit to memory would disappear. They were right. The responsibility had been differed to something else. Couples differ their memory to one another. Sure, both of you could learn how to trouble shoot a wifi router, but why bother when one of you has already mastered the task? Sure, both of you could commit birthdays’ to memory, but why bother when one of you has those dates down pat? (Note my reluctance to imply gender in either of these examples). The clinical term for this is “Transactive memory.” I don’t think that sounds as romantic as “Shared memory,” but they didn’t consult with me when they named it. Then Al Gore had to come along and invent himself an Internet (technically Tim Berners-Lee invented the first hyper-text network, while Gore supported a bill that helped fund the first graphical web browser, but whatever). The rest you know. Collectively, we pooled our memories. We defer to “the Google.” What a strange mistress she’s turned out to be. I’ve taken to asking her complete sentences. Never mind narrowing a search term, the odds are high that my complete sentence will yield results. Google wears the thinking cap in this relationship. Sometimes she differs her memory to the sewing circle. Yahoo Answers and Wikipedia might volunteer some information. But this information comes at a cost. Let’s say you’re looking to describe a classical painting on the wall of a brownstone mansion. Let’s say a curator entered a description into Wikipedia that was far more evocative than what you came up with. Do you revise or plagiarize? For the would-be author, this is a double edged sword. We’re living in the era of differed memory. It’s in our pockets, it answers questions when we speak them aloud, it’s blinking at the end of our spectacles (well not yet). We’re DJs remixing information. At what point do we cease to be authors and start to become collage makers? Good post, Drew. Couple of thoughts for ya. Plato’s Socrates talked about books in the same way. That Socrates (the fictional one rendered by Plato) believed books were highly suspect. But he loved books anyway. Re: “collage makers”, I think that’s what it all is. Language itself, being mostly defined and each word containing a secret story within it, is imitation and plagiarism. The very fabric of the language is created by others, and so it’s all collage. Still, the concern about the Internet is legit. It’s hyper-outsourcing. I just can’t fit everything that’s on my mind to 600 words or less. Nor can I in a short comment. I know there’s a lot more going on upstairs than can be seen in just one post of yours. Just adding more for your readers, I guess. 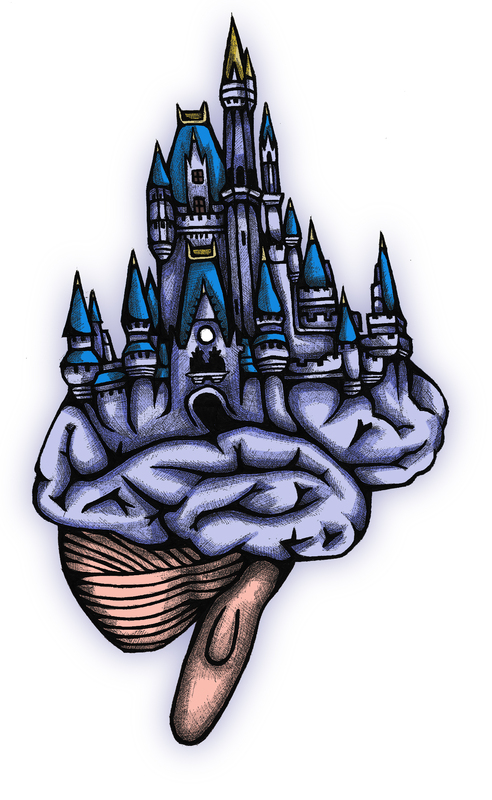 I love the concept of the memory palace, it’s something I had to learn how to do out of necessity, but now it’s something I use for everything. I ought to write a blog on how to use the memory palace to deliver an elevator pitch.